Since their $50,000 2013 Peak Performance Project win, they have self-released their debut album, No Bad Days (April 22, 2014), recorded by Howard Redekopp (Tegan & Sara, Mother Mother, The Zolas) and Diggory Smallz (for tracks Asleep on the Bus & Pineapple). The previously released single, “Pineapple” reached #25 on Hype Machine and earned the group Vancouver radio airplay and song placement on MTV’s ‘Awkward’. They followed the success of Pineapple with the equally successful “Asleep on the Bus” in March 2013, and in December, On Planet’s remix of the track reached #6 on Hype Machine. The single’s subsequent video, also directed by Orchard, was selected as Shore FM ‘Best of B.C’ for October 2013, winning the band $10,000. The single has already gained national radio attention, with adds on CBC Radio 3, Siriux XM and media reviews not only across Canada, but also Colombia, where one of the band members is from. 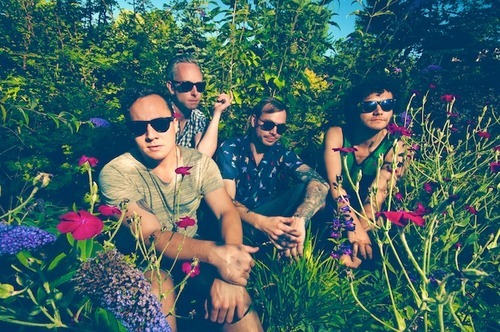 The album has been described as, “a melodic merging of surf, Afrobeat, Cumbia and Calypso” (Northern Transmissions), with “guitars that sound like a warm breeze coming off the Pacific ocean during a swaying-palm sunset” (The Georgia Straight) and the band have been likened to the “incarnation of all the wonderful things in life: drowning in puppy kisses, pineapples, a song about pineapples, girls in coconut bras and high-waisted shorts and music that will transport you back to last month’s sunny vacation in Hawaii” (Beatroute). The band are currently on a Canadian national tour in support of their album, and will be hitting major festivals, including Canadian Music Week, Tall Tree Festival, and Vancouver International Jazz Festival.